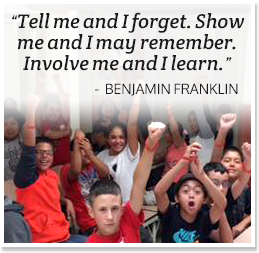 At Ajo schools, we encourage students to participate in activities beyond the normal school day. Doing so allows students to interact with their peers and adults outside of their regular classroom environment, pursue individual interests, and develop new skills. We offer a wide range of clubs and athletics programs for all ages. We have a proud tradition of excellence in team sports at our schools. We will post schedules and other athletics resources on this page as they become available. Students may contact their teacher to learn more about getting involved in extracurricular activities.